Easter Fun Day will feature a one-of-a-kind indoor Easter egg hunt along with sack lunches for children and parents, toys and games! 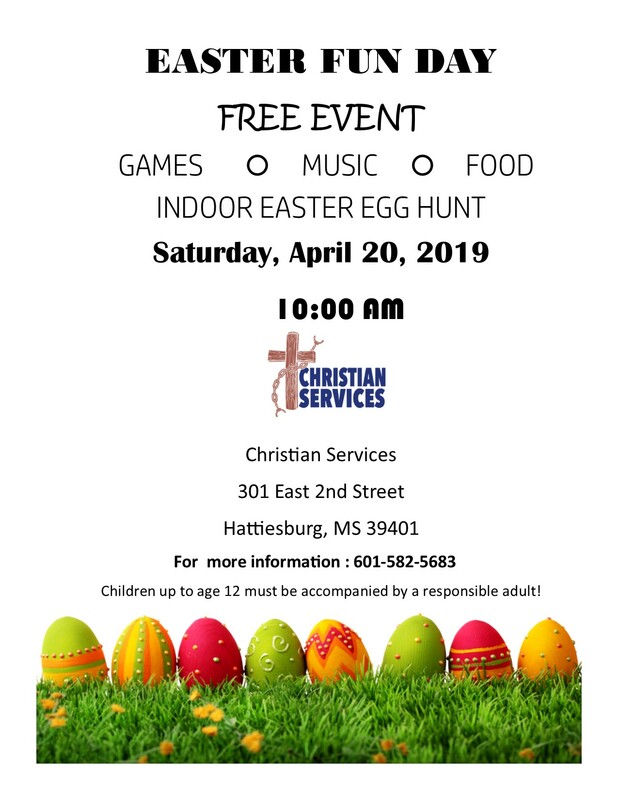 Easter Fun Day is a free event and open to the public to be held Saturday, April 20, 2019 at 10 a.m. on the campus of Christian Services, 301 East 2nd St, Hattiesburg, MS 39401. 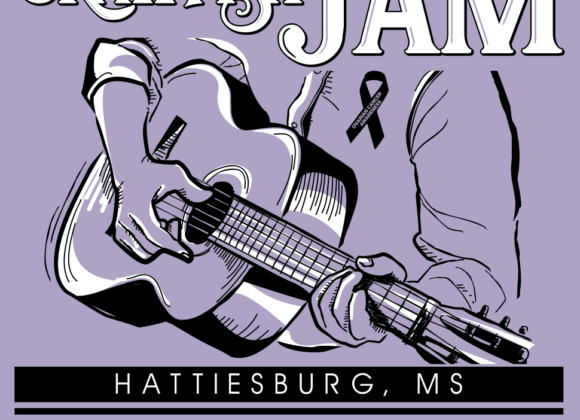 All ages are welcome; however, children 12 and under must be accompanied by parents.